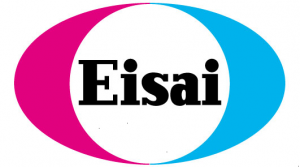 L’Institut de Cancérologie de Seine et Marne remercie le laboratoire EISAI pour son soutien au livret la radiothérapie des parents expliquée aux enfants. Impact of omission of axillary dissection on adjuvant therapy in patients with metastatic sentinel lymph nodes according to the ACOSOG Z0011 criteria. Roosen A, Lousquy R, Bricou A, Delpech Y, Selz J, Le Maignan C, Bousquet G, Winterman S, Zelek L, Barranger E. Gynecol Obstet Fertil. 2014 Jun;42(6):409-14. Indication of radiotherapy after neoadjuvant chemotherapy in breast cancer. Selz J, Le Scodan R, Ménard J, Hennequin C, Quero L. Cancer Radiother. 2014 Jun;18(3):229-34. Prognostic value of molecular subtypes, ki67 expression and impact of postmastectomy radiation therapy in breast cancer patients with negative lymph nodes after mastectomy. Selz J, Stevens D, Jouanneau L, Labib A, Le Scodan R. Int J Radiat Oncol Biol Phys. 2012 Dec 1;84(5):1123-32. Radiotherapy for stage II and stage III breast cancer patients with negative lymph nodes after preoperative chemotherapy and mastectomy. Le Scodan R, Selz J, Stevens D, Bollet MA, de la Lande B, Daveau C, Lerebours F, Labib A, Bruant S. Int J Radiat Oncol Biol Phys. 2012 Jan 1;82(1):e1-7. Role of locoregional radiation therapy in breast cancer patients with negative lymph nodes after preoperative chemotherapy and mastectomy. The Institut Curie-Hôpital René-Huguenin experience. Le Scodan R, Bruant S, Selz J, Bollet MA, Daveau C, de la Lande B, Lerebours F, Labib A, Stevens D. Cancer Radiother. 2011 Dec;15(8):675-82. Tolerance and efficacy of preoperative radiation therapy for elderly patients treated for rectal cancer. Le Fur E, Chatellier G, Berger A, Emile JF, Dousset B, Nordlinger B, Berges O, Deberne M, Dessard-Diana B, Henni M, Giraud P, Housset M, Durdux C. Cancer Radiother. 2013 Jun;17(3):202-7. Adjuvant radiotherapy in patients with endometrial cancers. Mazeron R, Monnier L, Belaid A, Berges O, Morice P, Pautier P, Haie-Meder C. Cancer Radiother. 2011 Jul;15(4):323-9. Interest of diffusion-weighted echo-planar MR imaging and apparent diffusion coefficient mapping in gynecological malignancies: a review. Levy A, Medjhoul A, Caramella C, Zareski E, Berges O, Chargari C, Boulet B, Bidault F, Dromain C, Balleyguier C. J Magn Reson Imaging. 2011 May;33(5):1020-7. Role of lymph node irradiation in breast cancer patients with negative pathologic node status after neoadjuvant chemotherapy: the René-Huguenin Cancer Center experience. Daveau C, Stevens D, Labib A, Berges O, Moisson P, De la Lande B, Le Scodan R. Cancer Radiother. 2010 Dec;14(8):711-7. Normal tissue tolerance to external beam radiation therapy: thyroid. Berges O, Belkacemi Y, Giraud P. Cancer Radiother. 2010 Jul;14(4-5):307-11. Short course of radiation therapy in elderly patients with glioblastoma multiforme. Idbaih A, Taillibert S, Simon JM, Psimaras D, Schneble HM, Lopez S, Lang P, Toubiana T, Feuvret L, Delattre JY, Mazeron JJ. Cancer Radiother. 2008 Dec;12(8):788-92. New devices in radiation oncology. Mazeron JJ, Lang P, Simon JM, Toubiana T, Feuvret L, Boisserie G. Bull Cancer. 2007 Jan;94(1):109-13. Combined radiotherapy and hormone therapy in non metastatic adenocarcinoma of prostate. Mazeron JJ, Simon JM, Toubiana T, Lang P. Bull Cancer. 2005 Dec;92(12):1078-84. Radiotherapy for glioblastomas: from radiobiology to concomitant chemotherapy. Simon JM, Toubiana T, Lang P, Taillibert S, Mazeron JJ. Cancer Radiother. 2005 Sep;9(5):322-31. Association of immunologic thrombocytopenia and thrombotic thrombocytopenia purpura. Lescaut W, Toubiana T, Kaphan R, Cua E, Sanderson F, Heudier P, Fuzibet JG. Rev Med Interne. 2003 Jun;24(6):405-6.